José Luis Fernández Fernández, graduated from the Universidad Iberoamericana (UIA) in 1984, with a degree in public accounting, certified as of today by the Mexican Institute of Public Accountants. He joined Chevez Ruiz Zamarripa at its founding on 1 September 1981. He was admitted to the partnership on 1 January 1989 and has been managing partner of the firm since 1 January 2007. 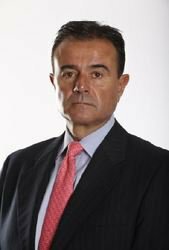 For more than 36 years, José Luis has focused his professional practice in the areas of complex domestic and international tax planning. On the corporate side, he has advised in tax matters for Mexican public companies listed in the Mexican Stock Exchange as well as in the New York Stock Exchange. He has also advised personal and estate planning for high net worth individuals and multinational families. He is an active member of the Mexican Institute of Public Accountants and the Mexican Institute of Financial Executives. In both institutions, he has been the head person of the Tax Committees. He attended in 2013 the programme ‘Corporate Governance and Performance Programme’ organised by the School of Management of Yale University. He is a member of the Audit Committees and an independent director of various public companies, including Grupo Televisa, SAB, Controladora Vuela Compañía de Aviación, SAB.de CV (Volaris), Unifin Financiera SAPI de CV, Grupo Financiero CITI-Banamex and Arca Continental, SAB de CV.